Take a look inside the Temppeliaukio Church for some interesting architecture and design or relax on Hietaniemi beach nearby. Enjoy a ferry ride to the Suomenlinna Sea Fortress and explore many attractions such as museums, cafés and restaurants. The Senate Square; home of Helsinki's Cathedral; sits right on our hostel's doorstep. Fancy a day of thrills and fun? Linnanmäki Amusement Park is right by our hostel. 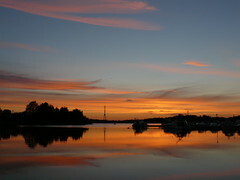 Finland’s largest and capital city, Helsinki is stylish and charming with cultural influences from Sweden and Russia. Here you can breathe in the fresh sea air, watch the world go by at a park (one third of the city consists of parks) or have a go at skating, skiing or snowboarding in the winter, and cycling, lake cruises or island hopping in the summer. When you stay at one of our Helsinki hostels you’ll find it easy to get around the city, with buses, a metro and trams available to take you to some top tourist sights. 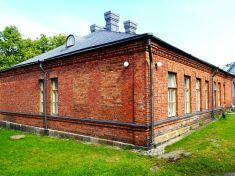 Visit Suomenlinna Sea Fortress, a UNESCO World Heritage Site located off the coast of Helsinki, get some superb city views from Panorama Tower at Linnanmäki Amusement Park, and in the summer catch the weekly Guard Parades. 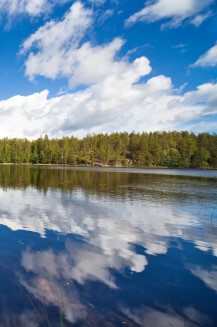 And if you get the chance, take a boat tour of the unique archipelago of more than 300 islands. This church, designed by architects Timo and Tuomo Suomalainen, was quarried out of the bedrock and is often referred to as “the church in the rock”. Helsinki's most popular beach and the location of various music festivals. One of Helsinki's landmarks, the monument to honour national composer Jean Sibelius (1865-1957) was the result of a public fundraising campaign and a two-stage competition in 1961-62. 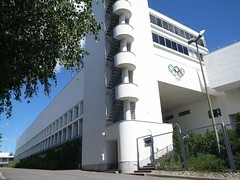 The Helsinki Olympic Stadium was completed on 12 June 1938 and has been characterised as the world’s most beautiful Olympic Stadium. Make sure you visit the tower to gain an amazing view of the urban landscape of Helsinki. "The streets, parks and boutiques of Finland’s capital are filled with lively events all year round! Find out what’s on here." Read on for varied and interesting blogs all catered for tourists visiting the city. Come and see annual music and arts festival in Helsinki, packed with legendary artists from both the Finnish and the international scene, good food and drinks.